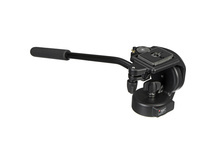 Product #1190 | SKU 128RC | 0.0 (no ratings yet) Thanks for your rating! 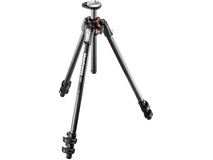 The 128RC QR Micro Fluid Head from Manfrotto is ideal for a VCR camera up to 8.75 lbs. It includes an adjustable handle that can be positioned on either the left or the right and comes standard with a quick release plate. 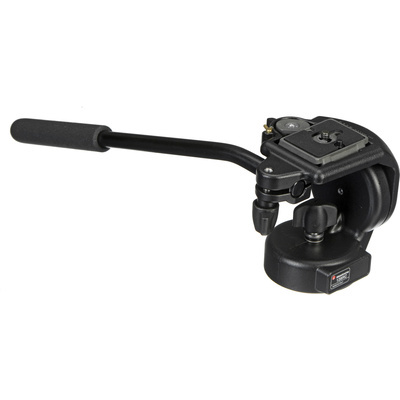 Features a quick-release plate that allows you to change cameras or detach the camera with the flip of a lever. This head pans 360° and can be tilted -60° to +90° and features pan and tilt locks.